Rent ₩700,000 Bedrooms 2 Size 360 Sq. 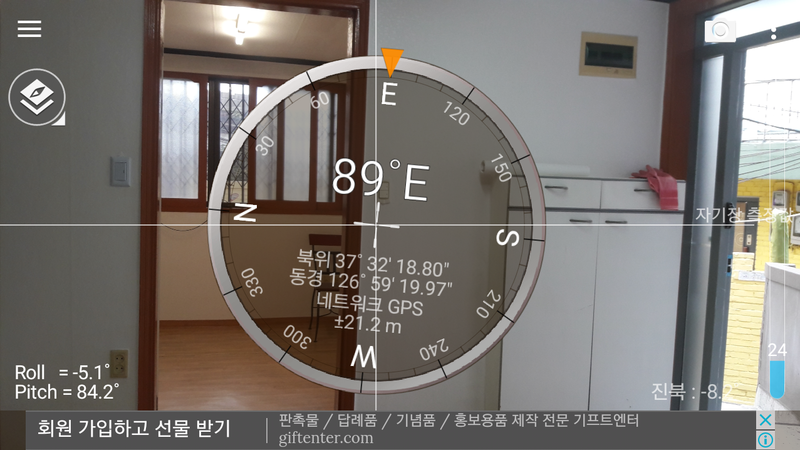 Ft.
9 minutes walk from Nok-sa-pyeong station(line 6) near Itaewon;	The 1st floor of a 3 story building; 3.5x2.7 meter sized the 2nd bedroom; 2.6x2.4 meter sized the 3rd bedroom; Small living room space; 2.3 meter high ceiling: Wallpaper made ceiling material; Has two more floors above this flat; Bathroom size: Average;	Bathroom cleanliness: Above average;	No bathtub; Has a bathroom window; High water pressure; Washer place: Bathroom;	AC place: Main bedroom. Appliances: AC, refriagerator, washer, stove; Furniture: Shoe chest, chair; Has a space for a sofa in the living room; Kitchen size: Average;	Kitchen cleanliness: Above average;	East facing apartment; Natural light: Average;	Lighting: Average;	Cozy: Average;	Small hill; Entrance accessible/close for furniture, groceries etc. : Average; Pet: Can ask if needed. Outdoor space: No;	View: Below average;	Quiet: Above average; No storage; Parking space: No;	Does landlord live in this building:Yes;	Security: Average;	Windproof condition: Average;	Ventilation: Average;	More clean	rather than big. Talking point: Quiet. Entirely subjective description: From the left side fo the entrance angle, Refrigerator ~ bathroom facing the West ~ the 2nd bedroom facing the South ~ kitchen sink and window ~ gas stove ~ main bedroom facing the East ~ shoe chest ~ entrance door facing the North; The landlady asked more, but I'll see what I can do to make it as stated; Available from June 1st of 2019.